Composite decking has been gaining in popularity because it significantly reduces the maintenance that a deck needs from year to year. The most common type is made of wood fibers mixed with plastic, which is then formed into planks up to 20 feet long. Solid planking is available in 2-by-4 and 5/4-by-4 sizes. Composite lumber is generally not as strong as wood, which is why it is not used for structural framing. (Use arsenic-free, pressure-treated lumber for deck framing.) Decking made with recycled polyethylene (PE) may require shorter spans of decking between joists than products made with polyvinyl chloride (PVC). You do not need new tools or skills to work with composites, since they can be cut and shaped just like solid wood. 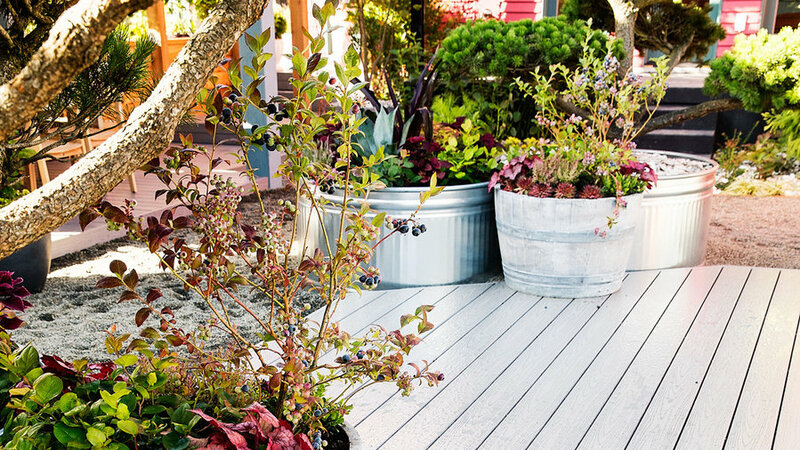 Unlike wood, composite decking does not have to be coated with a protective finish. Follow the manufacturer’s instructions for design and installation. End profiles of the lumber vary, affecting not only their weight but also the way their exposed ends must be finished.